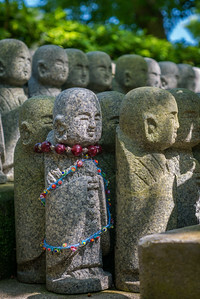 Jizō is a beloved and popular Japanese divinity known to alleviate the suffering of the living and the dead. 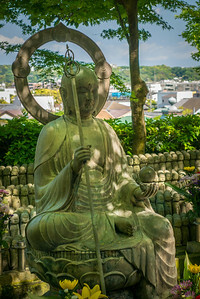 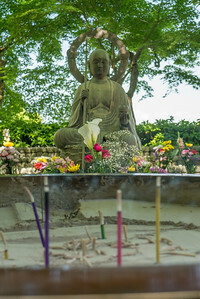 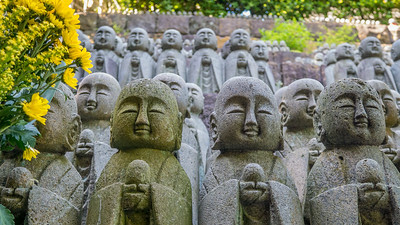 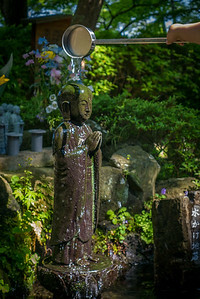 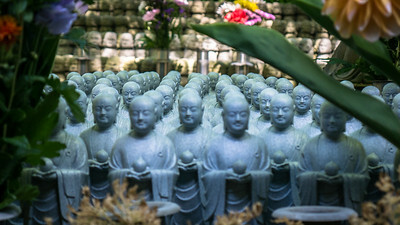 Jizō is also the patron saint of travelers. 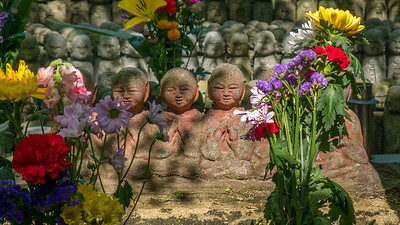 I first encountered Jizō statues at the Garden of Unborn Children in Tokyo, and was intrigued to see this other representation. 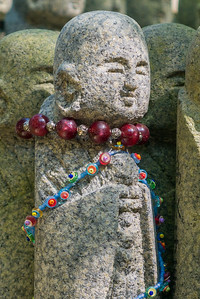 As I continued through Japan, I found thousands of representations of this Bodhisattva. 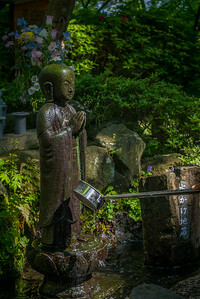 At Hase-dera, the Japanese and foreigners alike patiently waited in line to ladle water from the trickling stream. 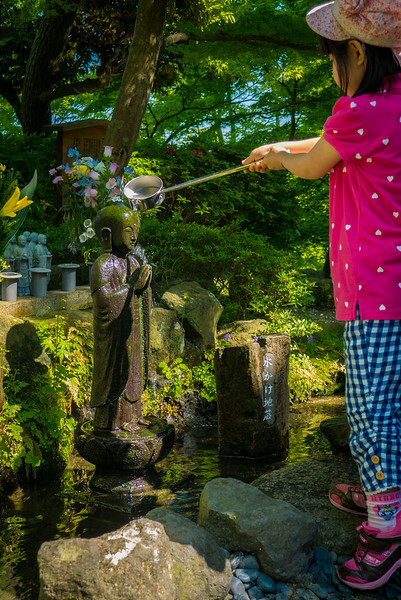 This little girl watched her mother spoon the water and pour it in a cascade down the statue's body and carefully followed suit, insisting that she could perform the task and the little prayer on her own (she did). 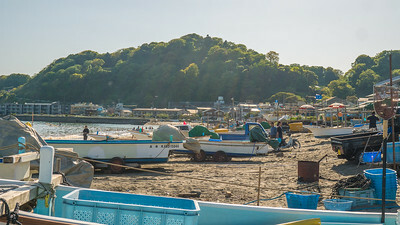 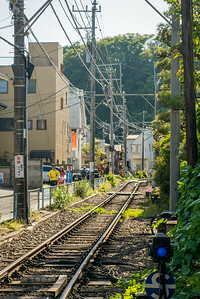 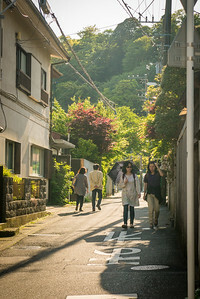 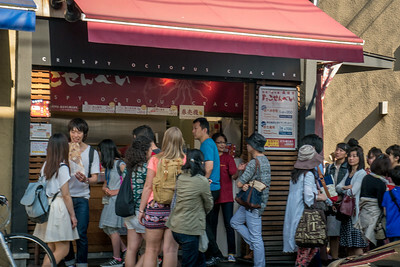 Kamakura Beach, an easy day trip from Tokyo, Japan. 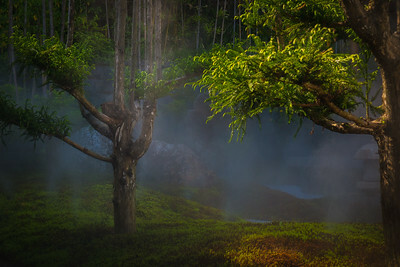 Surely this enchanting moss garden is where the fairies and elves live? 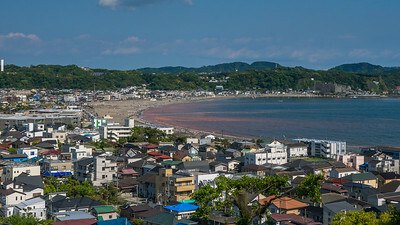 It's a strange little inlet where few tourists peaked. 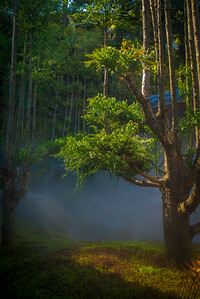 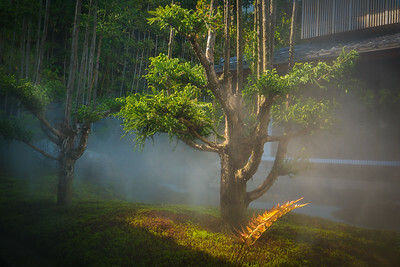 Towering trees shaded the gentle mist cooling the entire garden, all keeping the delicate floor of moss vibrant and healthy. 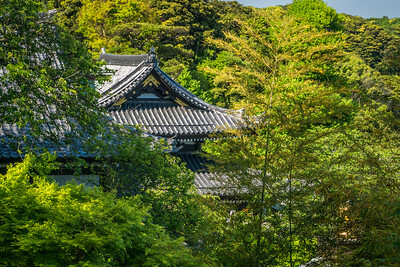 A stunning moss garden in Kamakura, Japan at the Hase-dera temple. 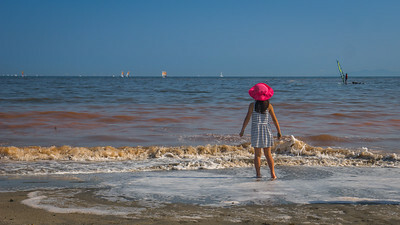 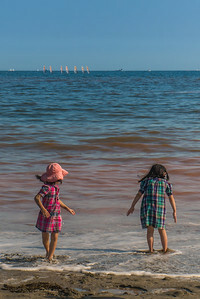 Algae blooming in the waters of Kamakura Beach caused a wacky reddish tinge, which didn't deter the kiddos. 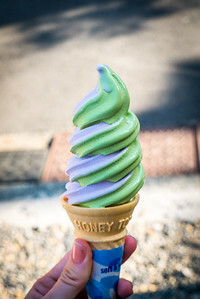 Green tea and lavender ice cream! 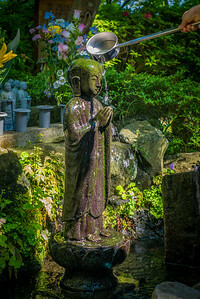 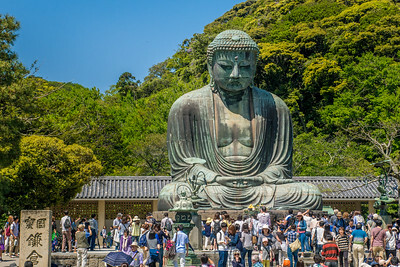 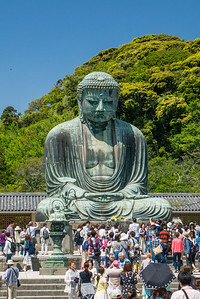 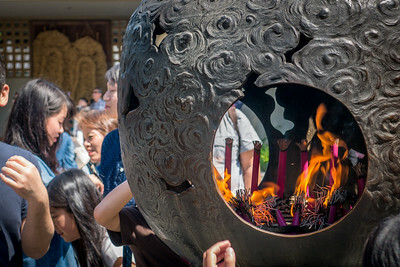 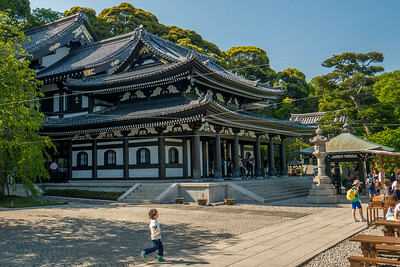 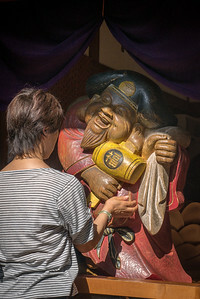 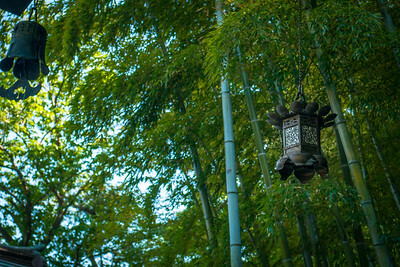 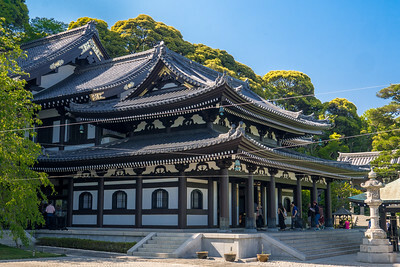 Kōtoku-in is a Buddhist temple of the Jōdo-shū sect in the city of Kamakura in Kanagawa Prefecture, Japan. 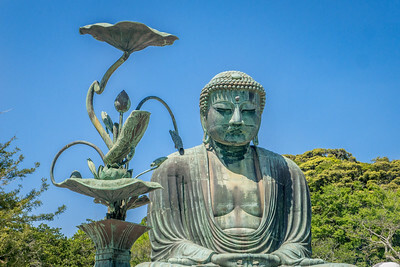 A gorgeous bronze Buddha statue dating to around 1252. 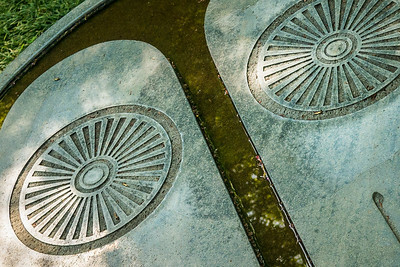 I love the way bronze streaks and ages, visually marking the passage of time. 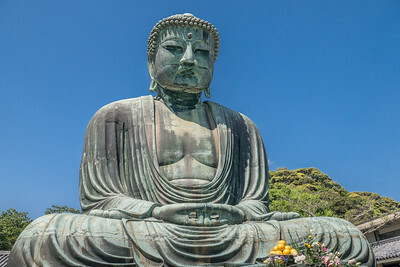 The statue is 40+ feet tall and used to be gilded entirely, but now there are just faint traces of that gold on his face. 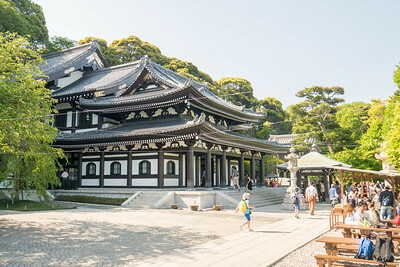 The sign outside the temple noted that it is The Temple of Buddha and the gate of the eternal, marking it as an important spot in Japanese Buddhism. 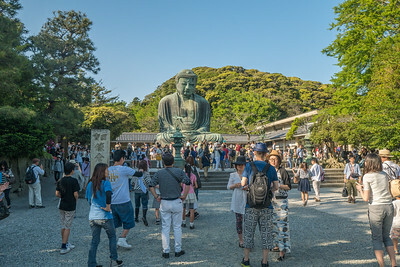 I didn't make it to the interior viewing because the line was insane (Golden Week), but apparently you can view up into the statue and see the graffiti left there through the years. 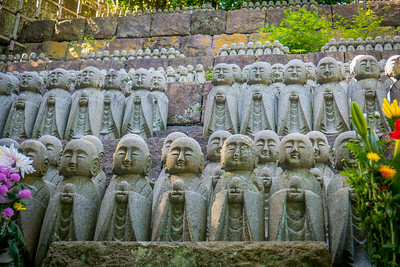 Jizō is a beloved and popular Japanese divinity known to alleviate the suffering of the living and the dead. 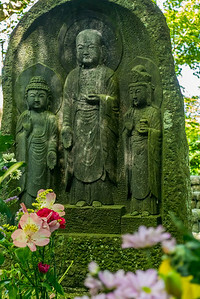 Jizō is also the patron saint of travelers. 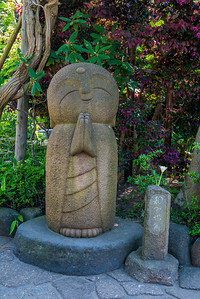 I first encountered Jizō statues at the Garden of Unborn Children in Tokyo, and was intrigued to see this other representation. 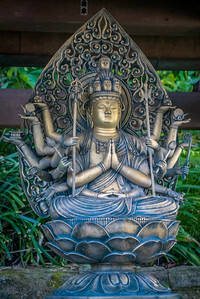 As I continued through Japan, I found thousands of representations of this Bodhisattva. 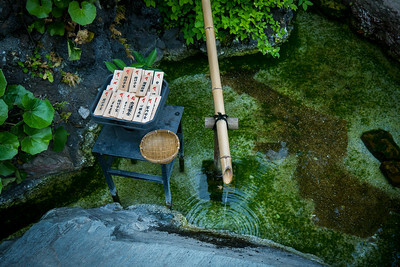 At Hase-dera, the Japanese and foreigners alike patiently waited in line to ladle water from the trickling stream. 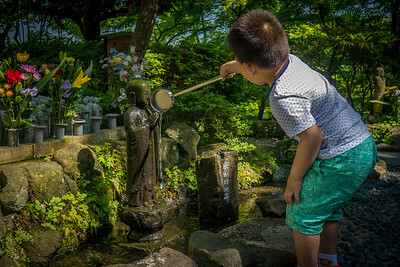 This little girl watched her mother spoon the water and pour it in a cascade down the statue's body and carefully followed suit, insisting that she could perform the task and the little prayer on her own (she did).